Find out detailed information on Ballon d’Or list of nominees this year. The contenders for the Ballon d’Or, football’s highest individual international honour were released with 30 players making the men’s finalists and 15 women footballers making the final cut. This is the first time that the Ballon d’Or awards ceremony will see the trophy being awarded to women footballers as well. Coming back to Ballon d’Or list of nominees, the Ballon d’Or has been awarded by France football since 1956 every year to the best footballer of the year. This year’s short-list is dominated by Real Madrid players. The champions league holders have 8 players in the 30 man list. World cup winners France have 7 players in the final list that was put together with votes from journalists around the world. 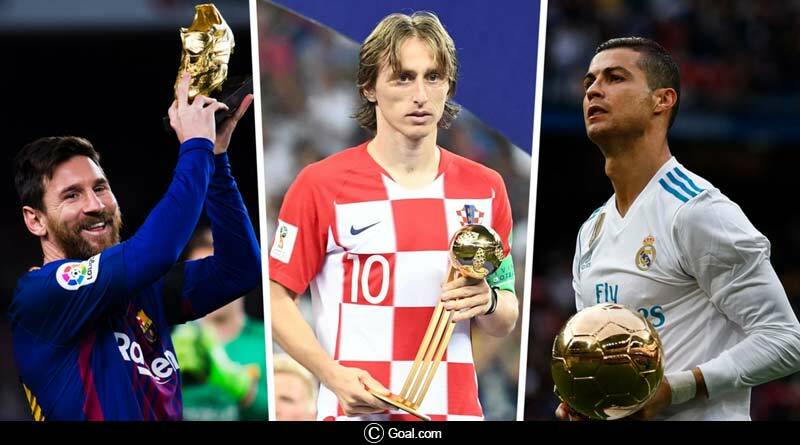 While Cristiano Ronaldo and Lionel Messi have dominated the awards, sharing the award between them the last 10 times, Luka Modric is considered as the wide favourite to walk away with the coveted trophy this year. The Golden Ball will be presented on December 3 in Paris in a prestigious ceremony along with the Kopa Trophy which is given in recognition to the best youth player. The Ballon d’Or winner will be selected by players, managers and journalists that are chosen to vote for the award. Each voting member is allocated five, three and one points to three nominated players, and the player with the highest number of points wins. For more details on Ballon d’Or list of nominees and other related updates, like and subscribe to tentaran.com.